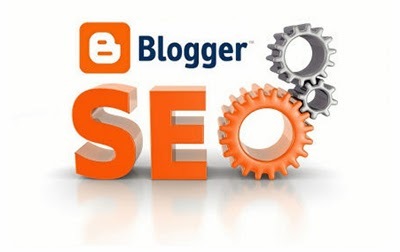 Although many insist that blogs hosted on free servers, such as Blogger, are not ideal for performing a correct positioning of your web site, the truth is that a blog hosted by Blogger can be really well positioned and quickly on the Internet if you are using the right SEO tools. Now, given the latest updates from Google, the best would be hiring a specialized person, however, if we don't have the resources or we want to learn doing this job alone, we can choose to begin with the natural positioning. Here are some tips to start a SEO work (Search Engine Optimization). We must try having our keyword included in our domain name, of course, this may sacrifice our branding but we can use the redirection. Not only rewrite articles, or write like it would be something for us. We should write thinking about our target audience, i.e., giving advices, tips, suggestions, guidance on specific topics and, aside, put links, use anchortext and keyfrases. They should be of quality and is no longer needed to place five or ten links within the text of your website, now, what matters is that the link is in context and is relevant. Finally, the domain, in value-added content and a right use of the internal and external links, will not be useful if we don't try to update our blog constantly. This is not necessary to be done on daily basis, although this may be ideal as in this way we could achieve a greater relevance in search engines, but has to be a constant work. Let's say, two or three times a week would be enough, what should not happen is updating only three times a week and doing nothing next week. Keep in mind that search engines happen to pass daily on our blog in order to index our content. I hope that you find these SEO tips useful and if you would like to receive more tutorials by email, subscribe for free to this blog, check out the facebook page or add the RSS feed.